Have you met the Easy As ABC knitting pattern yet? 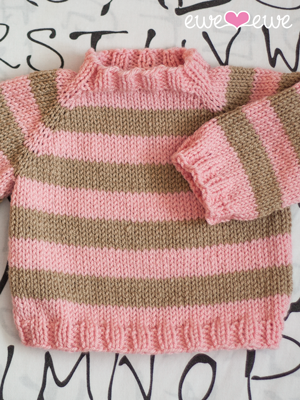 It's a really fun top-down baby sweater with raglan sleeves and bold stripes. I designed the pattern a few months ago and had knit it in Wooly Worsted with colors Cotton Candy and Wheat. Here's the pattern photo in the 6 month size. Last month I knit the sweater again for a second birthday gift to my little friend Cole. He's a sweet little boy with two professional and preppy parents. I chose Teal and Charcoal Wooly Worsted and I love it. It turns out he did, too! Click here for the Easy As ABC Sweater details. Here's a new fun weekly post, Wooly Wednesday! 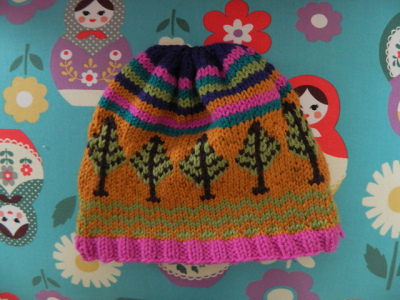 Every Wednesday I'll post a project knit by someone else using Wooly Worsted. The project might be our pattern, a modified pattern or someone else's knitting pattern. This week I wanted to show you my friend Jenni's Timber! Hat that she knit for her daughter. Jenni added stripes at the crown and did a beautiful job with her Fair Isle knitting. So cute! Too fun! You can find more info about the Timber! Hat here. Maybe your daughter would like one, too! 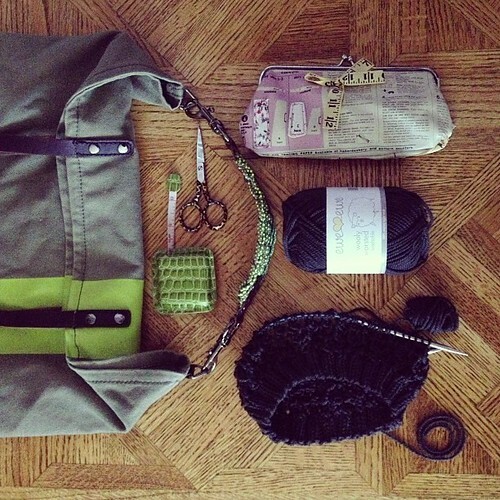 Did you knit a project with Wooly Worsted? Email me at heather@eweewe.com and get featured on Wooly Wednesday!